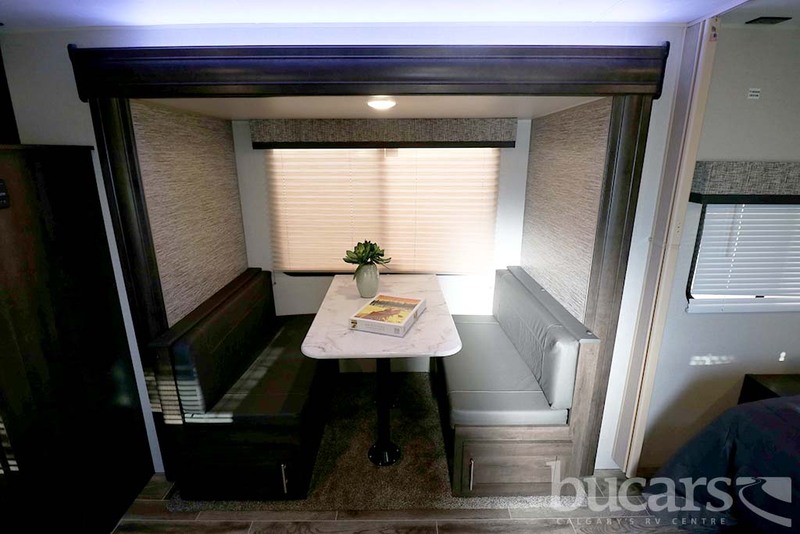 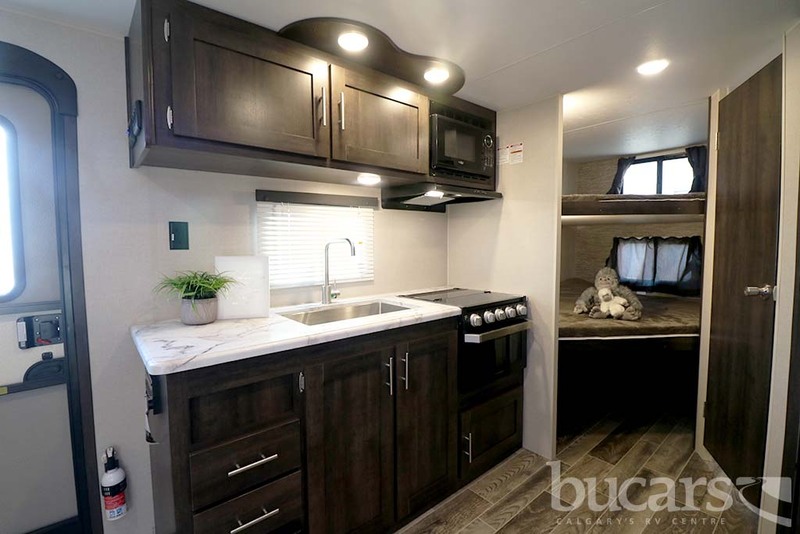 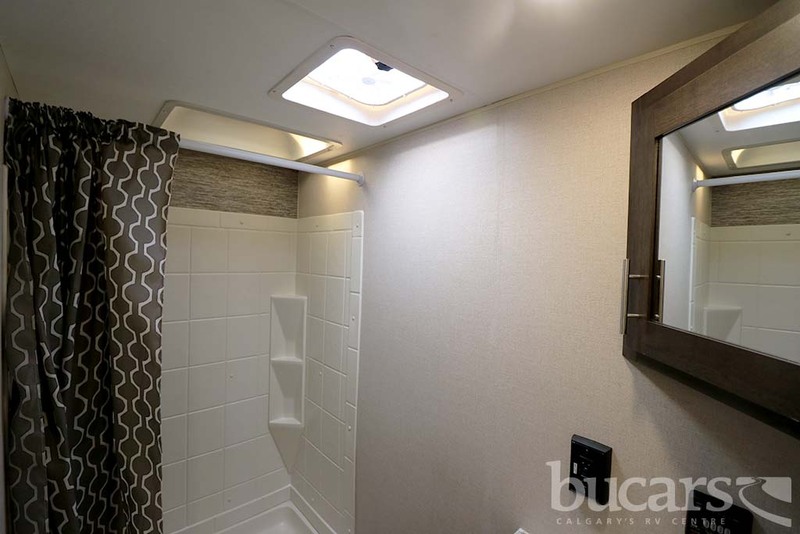 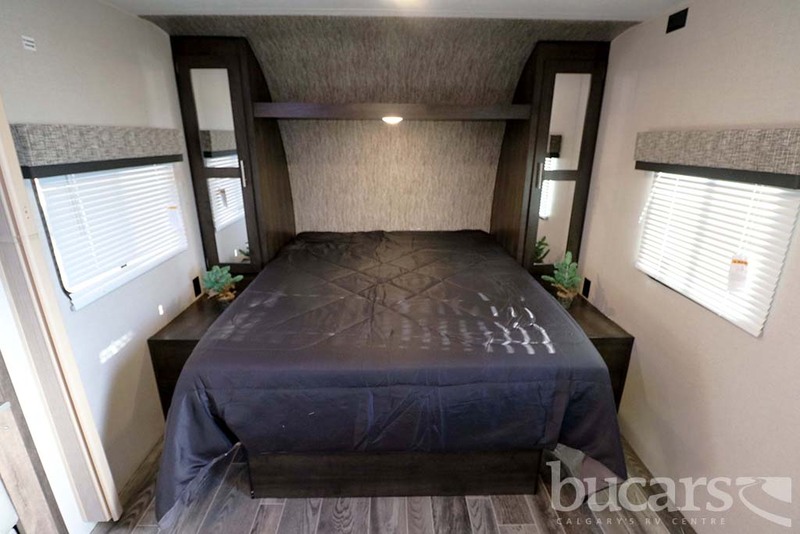 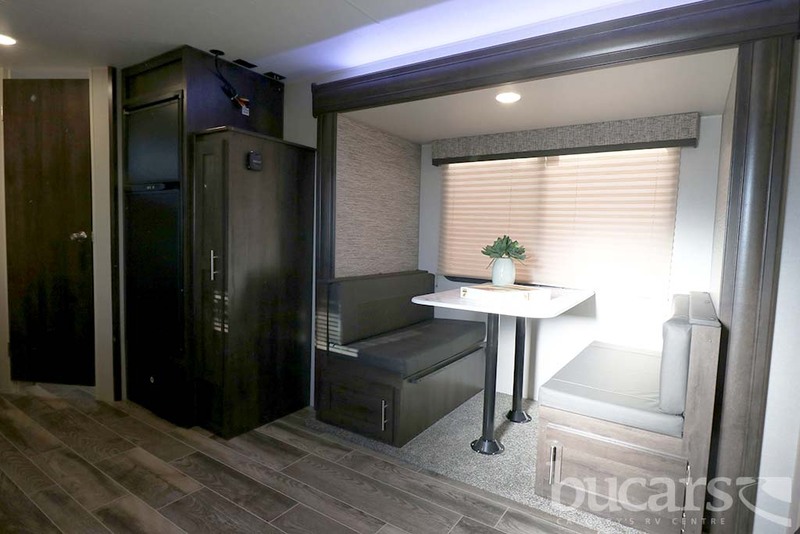 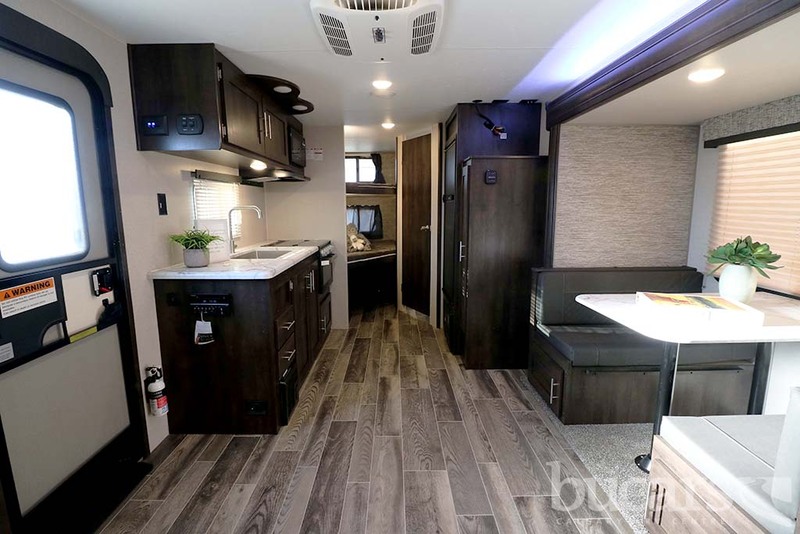 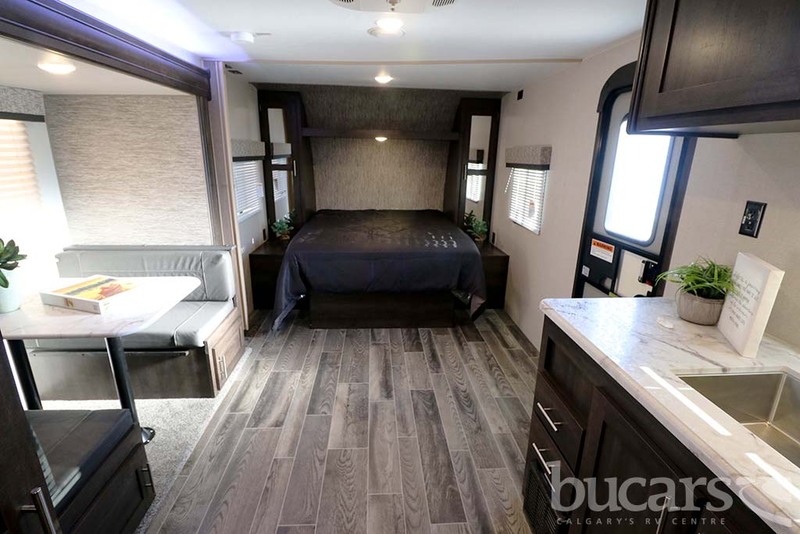 The 2019 K-Z Sportsmen LE 231BHKLE travel trailer features double over double bunks with windows, dinette in slide, outdoor kitchen (mini fridge, sink and 2 burner cooktop), Smart Arm power awning with motion security & wind sensor with LED light strip, outdoor speakers, flip down storage rack, Climate package (heated, enclosed & insulated underbelly), raised double door refrigerator with temperature controls, 3 burner cooktop with oven, microwave, double basin sink, queen island bed with above head storage, 4 stabilizer jacks, spare tire & carrier, multi-media stereo w/DVD, Bluetooth & NFC wireless connectivity and much more. 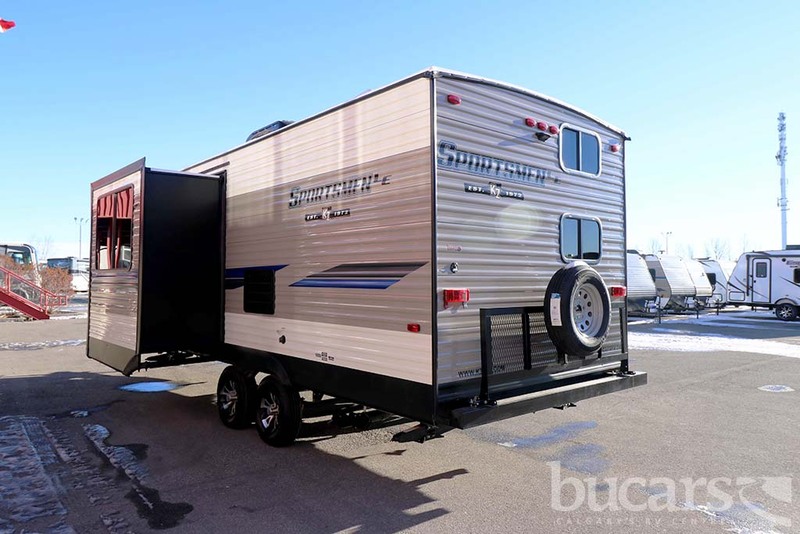 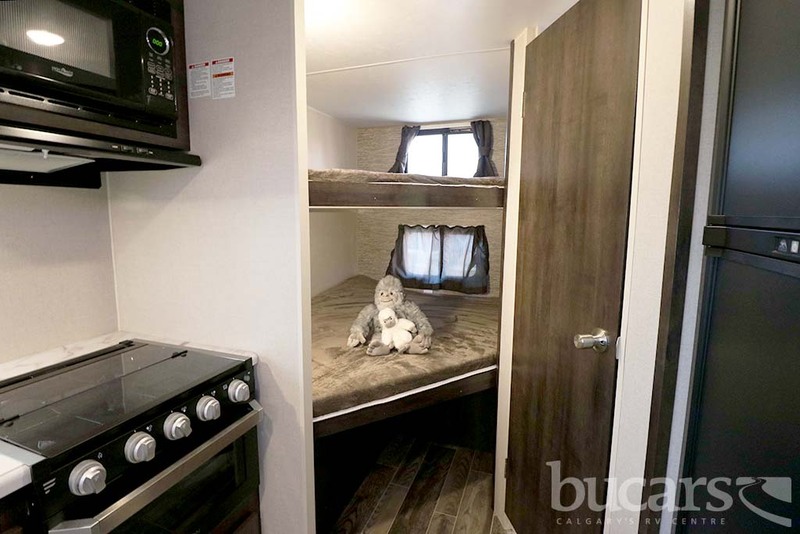 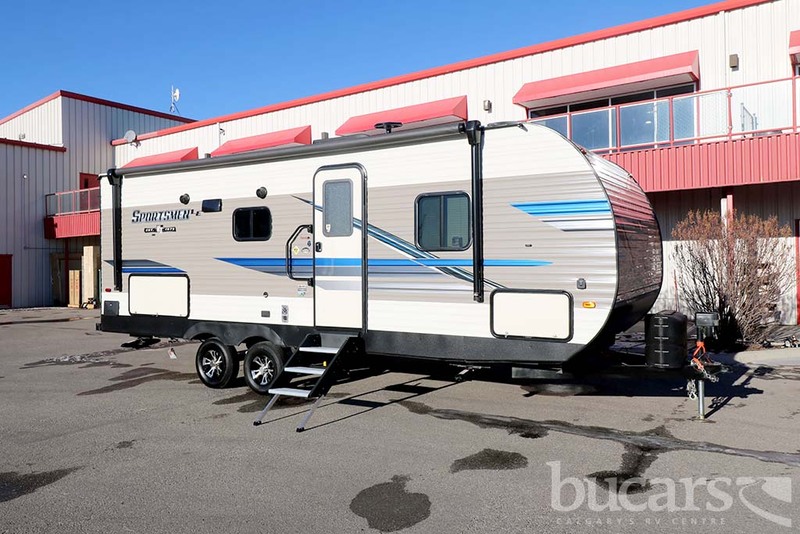 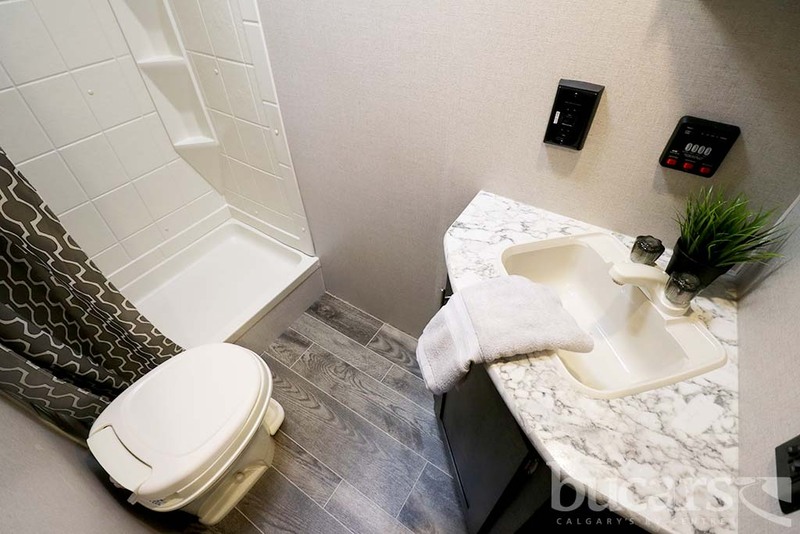 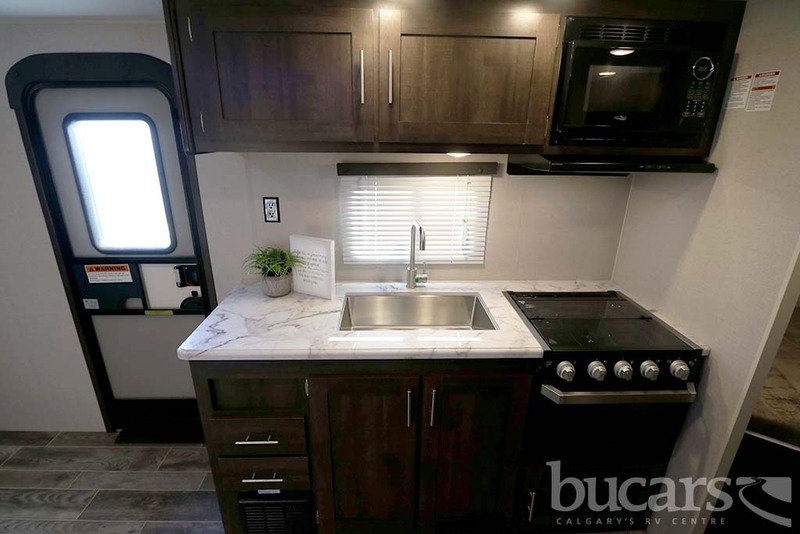 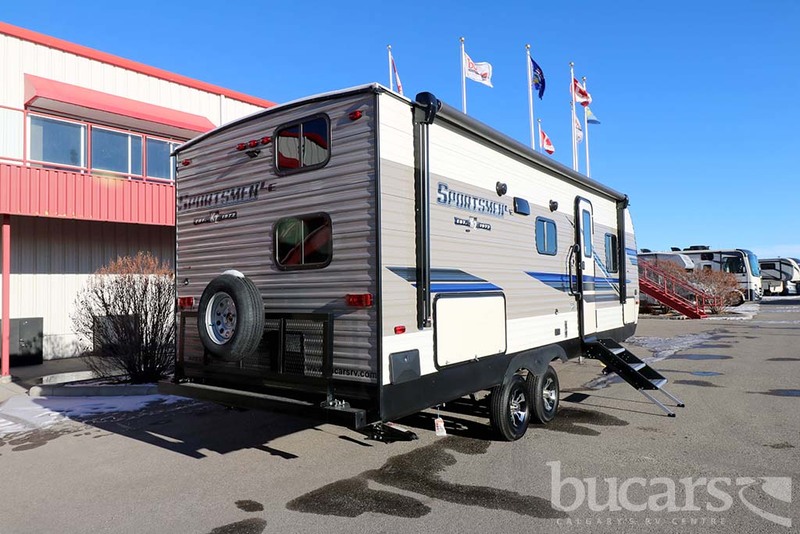 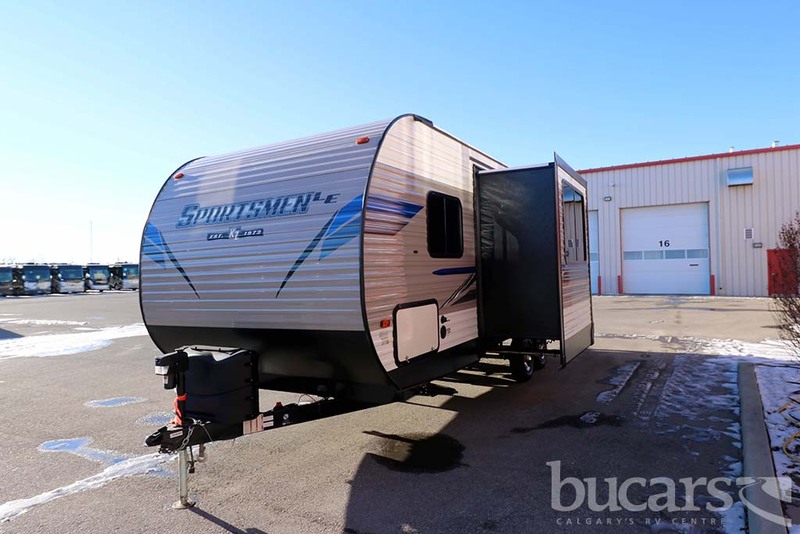 For additional information on the 2019 K-Z travel trailer please contact us at 1-800-267-8348 or come down and see this Sportsmen LE 231BHKLE for yourself at our Balzac lot just north of Calgary. 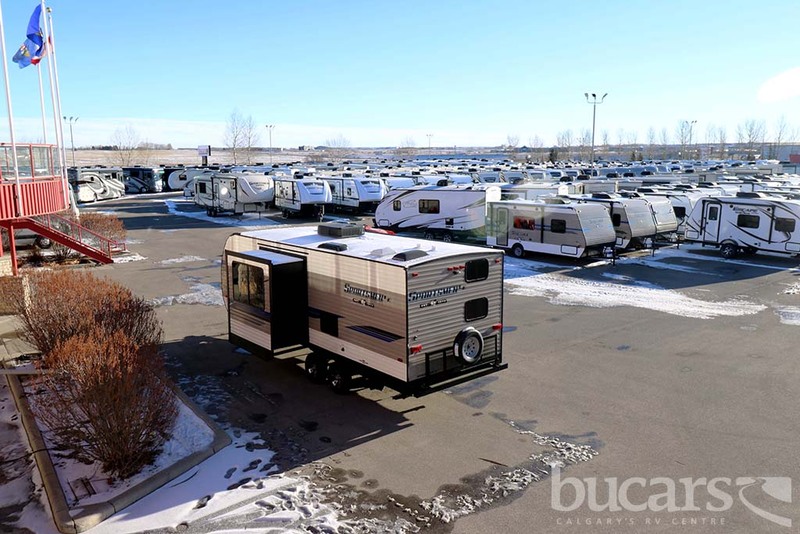 For all after hours inquiries please call or text 403-710-8314, email sales247@bucarsrv.com or during business hours call 403-207-1666.